I hate being asked who my favorite super hero is. See I read comic books. I can name some 500 super heroes and villains off the top of my head, so when someone asks who my favorite super hero is its not going to be someone from the most recent super hero movie, or Batman. Whenever I mention this, weather in a geek crowd or not I almost always get a resounding “Who?” from the crowd. Since the good Captain is my favorite this makes me understandably sad. 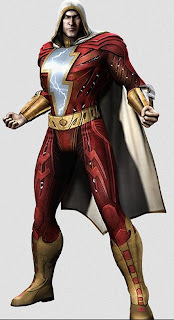 So allow me to fill you in on the ins-and-outs of one of my favorite, if least known super heroes, Captain Marvel. Billy Batson was a happy twelve-year-old till his parents came down with a sudden case of plot convenient car accident and ended up dead. Billy was sent to live with an abusive uncle ( I think I just found a good pen pal for Harry Potter) till he was thrown out for being too pleasant or something and had to live on the streets. Switch gears to the ancient and powerful wizard Shazam, who, after seeing that he didn’t have much time left in the mortal world, decided to summon a champion to protect the world and guard his giant floating rock. Or something. Shazam’s motives aren’t very clear, suffice it to say that he sees that Billy is still a happy, kind and good person despite his miserable circumstances and brings him to his mystic realm. There he gives the young orphan super powers. So he’s essentially Superman but powered by magic and into Legos. In case he wasn’t cool enough, Billy has the ability to share his power with others if they say his name after he electrocutes them with his magic lightning. A little narcissistic yes but it’s still cool to create an instant sidekick, of which he has two. Even Batman can’t carry around a Robin costume all the time. Marvel’s sidekicks are his long lost sister Mary Marvel and a kid he accidentally crippled while attempting to save him who calls himself Captain Marvel Jr. So why do I like him? Why on Earth would I say that this strange man-child with a confusing backstory and Superman’s powers carbon copied almost wholesale was my favorite? 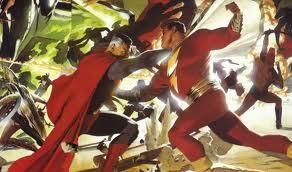 Well first off unlike most of the populace I like overpowered super heroes. I admit that Iron Man and Batman are cool, but at the end of the day if I really wanted to spend my time reading about rich men in impractical suits I’d read more Gentlemen’s Quarterly. I like my heroes to be powerful, big and able to take care of problems with their bare fists. Second I like that Billy was chosen not because he was so awesome but just because he was so good. Billy is a virtuous, uncorrupted soul, the kind that can only be found in a child. Billy was written before every child had to have a snarky wise-cracking attitude with a reversed baseball cap. He’s just a good kid who wants to do his best, and because of that he was rewarded with an incredible gift. 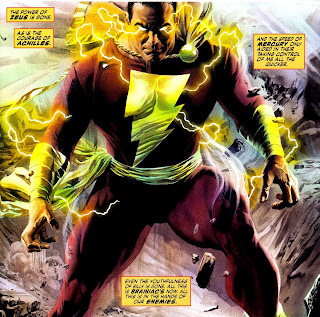 In some retellings of the Captain Marvel origin Billy’s virtue was meant to juxtapose Shazam’s first champion, an ancient villain named Black Adam who was given power as an adult but corrupted it and nearly destroyed the world until he was banished. I like the idea that the child’s virtue was a better asset then the adult’s supposed wisdom. The thing I like about him most is how he’s written most of the time. Get someone who can write dialogue on Captain Marvel and the awesomeness just flows. Remember, Billy is a child inside of the super hero, so he sees the world through a child’s eyes. He thinks Batman’s cool, if a little scary, and that Superman is awesome. In DC’s sadly cancelled (May it rest in peace) cartoon Young Justice, Marvel finds himself drawn to the young team very quickly, simply because he himself is their age. It’s nice for me to see a hero who’s not trying to be the tough guy or trying so hard to be cool-Captain Marvel is just himself and that makes him cool. Now that you’ve falling madly in love with Captain Marvel, your next question is why you haven’t heard of him. Well, that’s an interesting story. See, once upon a time magic was in in comics. 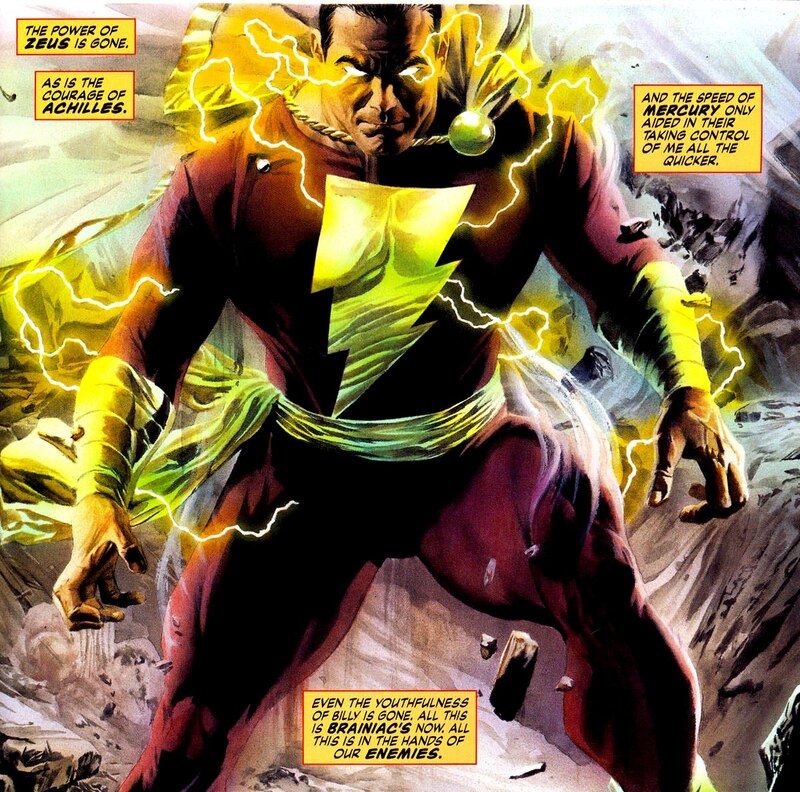 Most of the Justice Society, including Green Lantern and the Flash were powered by forms of magic, and Captain Marvel fit right in. In fact, back in the day, Captain Marvel comics were the most popular comics in the world, outclassing Superman and Batman! The late Elvis Presley even liked his sidekick Captain Marvel Jr so much he based some of his stage outfits on the hero’s costume! But magic went out of fashion to be replaced with science. Flash was no longer blessed by Hermes but a result of a lab accident, and the Green Lantern went from protecting the Star Heart to being a member of an alien police force. Sadly Captain Marvel couldn’t adapt and slowly faded into the background. Eventually when DC wanted to revise the hero they were met with opposition from the now formed Marvel Comics, who claimed copyright to the name. They won the court case so now DC can’t publish a comic titled Captain Marvel. Within the last several years though, we’ve seen the good Captain and his friends making a comeback. Alex Ross, an extremely talented and influential comic book artist, loves Captain Marvel and writes him into every comic he can as an essential character, starting with his earth shaking Kingdom Come where a brainwashed Captain actually took on Superman. Marvel’s villain, Black Adam, was a huge part in the Villains United, which brought the character back into the spotlight, including his own book and a playable character in this year’s Injustice: Gods Among Us video game. So that’s my hipster report of the super hero you’ve never heard of. 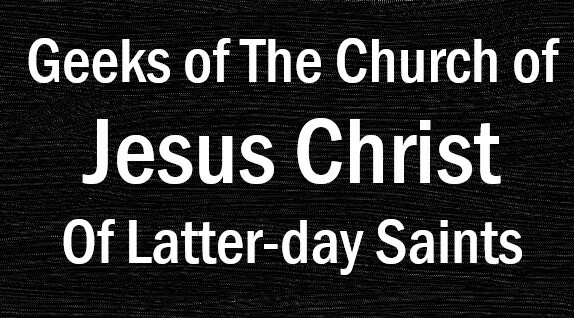 Mormon Geeks Goes to the Salt Lake Comic Con!